My family and I went to Ponto Beach last Friday evening to enjoy the sunset and some peanut butter and jelly sandwiches. 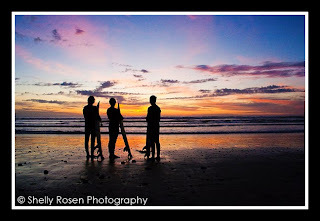 These 3 young guys were kind enough to let me get a snap of them with their surfboards. Thanks Guys! Sweet shot! Were you able to get their contact info so they can see it?